The program kicked off with an introduction of the CAUSE VOTE Initiatives program by CAUSE Executive Director, Kim Yamasaki. 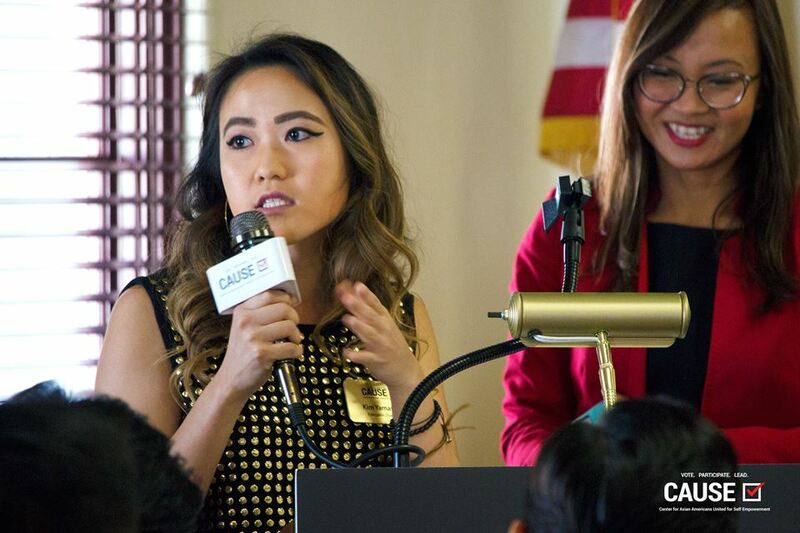 The CAUSE VOTE Initiatives is a year-round civic engagement program that includes voter registration and voter pledges, candidate debates, voter education and registration workshops, and community issue town halls for Asian Pacific Americans (APAs) of all ages. 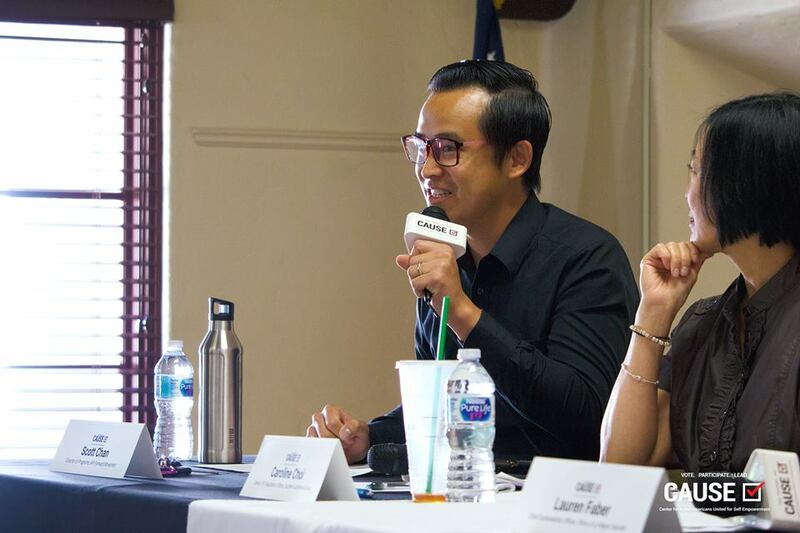 Next, Tammy Tran, Senior Manager for Community Engagement at Southern California Edison and CAUSE Board Member remarked on Edison’s efforts for Southern California’s transition to clean energy. Afterwards, Ralph Barnes, General Manager of the Beverly Center and CAUSE Board Member, shared his enthusiasm and support for the day’s event and for the CAUSE VOTE Initiatives program as a whole. 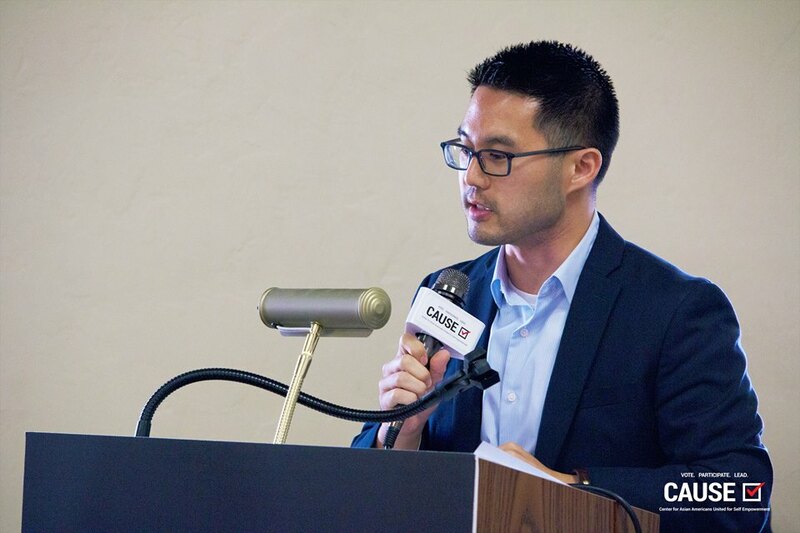 Vice Mayor of the City of San Gabriel, Jason Pu, expressed his hope for San Gabriel to set an example for other cities and move towards becoming more environmentally friendly and introduced Assemblymember Ed Chau as the keynote speaker. Afterwards, Assemblymember Ed Chau delivered a detailed keynote speech on the status of environmental issues faced by California and the different ways policy makers are currently addressing them. He also introduced the audience to several key bills that have been passed or introduced in the Legislature. The Honorable Thomas Wong, Board President of the San Gabriel Municipal Water District, served as the moderator for the panel and introduced the day’s panelists: Scott Chan, Director of Programs at API Forward Movement; Caroline Choi, Senior VP of Regulatory Affairs at Southern California Edison; Lauren Faber, Chief Sustainability Officer at the Office of Los Angeles Mayor Eric Garcetti; and Yvette Martinez, Director of Our Water LA. Scott Chan, Director of Programs at API Forward Movement, underscored the importance of having parks in communities and the current lack of land used for parks. Afterwards, the panelists opened up for questions from the audience and connected with attending guests after the event.